GPS capability is an important setting to consider when setting up your teen’s smartphone. GPS allows your teen’s smartphone location — and, therefore, your child’s location — to be tracked by everything from emergency services to the applications downloaded to your teen’s gadget. Some parents like knowing their teen’s location may be tracked through their phone, but other parents prefer that GPS be disabled to help protect against online predators. Determine your preferred settings from the choices that appear on your phone. You can choose from a standalone GPS service, or one offered by your carrier or Google. 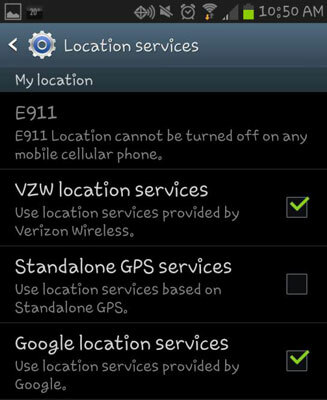 Even if you choose to turn off your other location settings, the location of your Android phone can still be determined by emergency 911 services if the phone is turned on. The Windows Phone also allows you to set your own preferences for location services. Navigate to the Settings icon and tap Location. 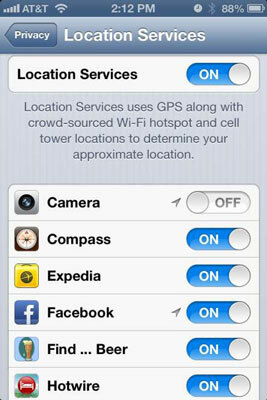 Select to turn off or turn on Location services. Select Settings and tap Privacy. Slide the Location Services setting to On for your device. When Location Services is activated, you can use the On/Off slider to activate and deactivate Location Services for any listed application.